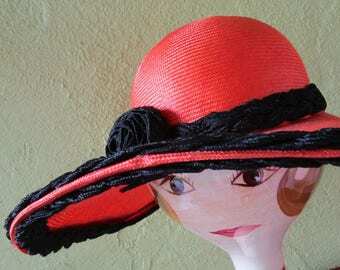 Party pool beach raffia pompom wide brim sun hat. 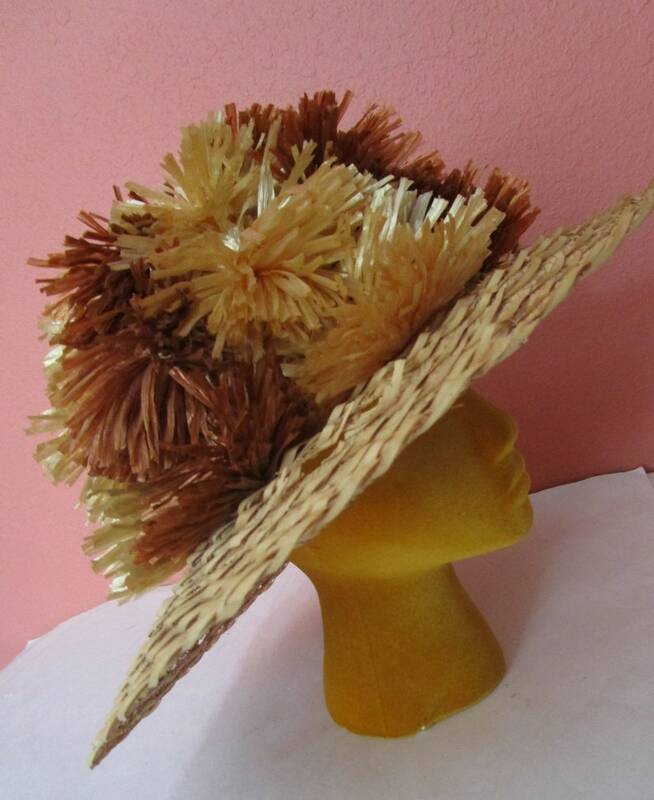 Natural straw hat with stitched woven V design. Big hand sewn pompoms entirely cover crown. Shiny wheat beige, and copper rust colored. Condition: Very good vintage condition, some breakage on edge, 1" separation on brim hard to find, slight misshape. See photos. Size: Measures 23" inside circumference, 17-1/2" inside diameter side to side. 5" front brim, 5" tall crown height.